Finding it difficult to get insurance on an older home? If you ever have a dispute with an insurance companies decision to deny or terminate your accident benefits, the Financial Services Commission of Ontario (FSCO) can help mediate the issue with little cost to the insured. The Registered Insurance Brokers of Ontario (RIBO) is an organization established by the Ontario government to protect the public during insurance transactions with brokers. The Insurance Bureau of Canada (IBC) is the trade association representing Canadian private property and casualty insurers, with member companies representing 90% of the insurance market in Canada. The IBC provides Canadians with industry information related to car, home, and business insurance. The Danger of using unregulated websites providing insurance quotes. In 2010, the Globe and Mail wrote an interesting article in 2010 entitled “why promises of lower websites don’t always deliver”. It explores the risk and dangers of consumer’s obtaining online car insurance quotes through unregulated and unlicensed websites. Haven’t you always wondered why YOUR insurance rates keep increasing? This article by Unica Insurance provides some good tips to lower your premiums, and a technical explanation about the rising cost of insurance. 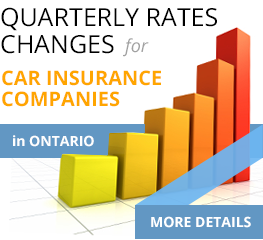 See what the insurance companies in Ontario are doing to your car insurance rates. This link will bring you to a report showing the changes in Ontario car insurance rates, from 2011 to 2017. This list will be updated quarterly. This provides a link to a booklet in a pdf format prepared by the Insurance Bureau of Canada. 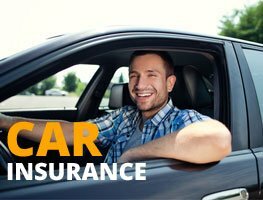 It answers many interesting questions about car insurance in Ontario, an explanation of auto insurance coverage’s, and making a claim on your car insurance policy. A second perspective on understanding car insurance, by the Financial Services Commission of Ontario (FSCO). The insurance bureau of Canada provides explains how your car insurance premiums are calculated. What to do after a car accident ? This link takes you to some useful tips published by FSCO about what to do after you’ve been involved in a car accident. This article by FSCO discusses many topics including; reporting the accident, deciding who’s fault the accident is, and what to do if you disagree with your insurance company. This link will take you to the Ontario government’s Service Ontario website where you should be able to order your driver’s abstract. The government charges a fee for this service, approximately $12, and is paid by credit card. 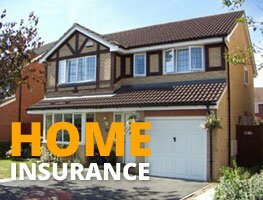 A guide to understanding your home insurance policy, provided by the IBC. Flood and water damage is becoming the greatest risk to your home. This link takes you to a series of articles published by the Institute for Catastrophic loss reduction. This link takes you to a series of articles and videos prepared by Intact Insurance. It includes information about how sump pumps and sewer backup valves can be used to reduce the risk of damage to your home. Financial subsidies of up to $3,400 for single-family, duplex, and triplex residential homes built before 2009 to install flood protection devices. Finding it difficult to get insurance on an older home ? This link brings you to a brochure prepared by FSCO which discusses some of the potential challenges you may face when trying to insure an older home. An introduction to some of the key concepts and coverage’s that should be included in your commercial insurance policy. An explanation of one of the more complex, but important commercial insurance topics – business interruption. This helpful booklet by the Canadian Life and Health Insurance Association (CLHIA) takes some of the mystery out of life insurance and explains some of the different types and coverage’s available. Produced by the CLHIA, this guide helps you understand disability insurance and why you need it. This link brings you to Canada Life’s website, where they explain why you need critical illness insurance. A health spending account provides an interesting way to save money on your taxes when you or your family members incur medical expenses that aren’t covered by your provincial health plan (OHIP). Eligible medical expenses may include cosmetic surgery, nursing home care for an elderly parent, orthodontic payments, etc. This link brings you to a brochure prepared by Benecaid which explains the process a little further. Available on request. For a copy of this form, please contact us, or fax your request to 416-787-1669. 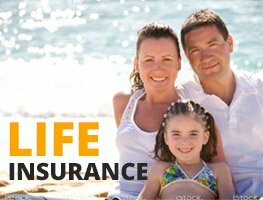 Check out our proposals on car insurance, home insurance, life insurance and commercial insurance.